How a browser works – ¿¡ tjongolongo ?! Ever wondered what it would be like if you could actually see your web browser at work? Check out this cartoon by Vlad Gerasimov. 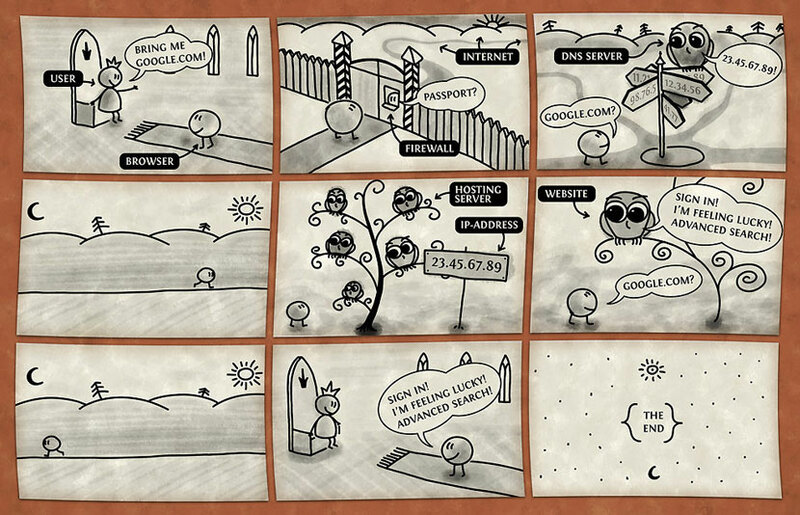 In his cartoon he show how you ‘the king’ orders your little browser to bring you a website. Your little browser than sets off to negotiate with firewalls, talk to hosts etc. to eventually get you your site. I love this cute little illustration and couldn’t resist posting it on my blog. Next time I need to explain browsing to people I’ll be sure to mention this cartoon.